Travel while Studying - Yes, you can! 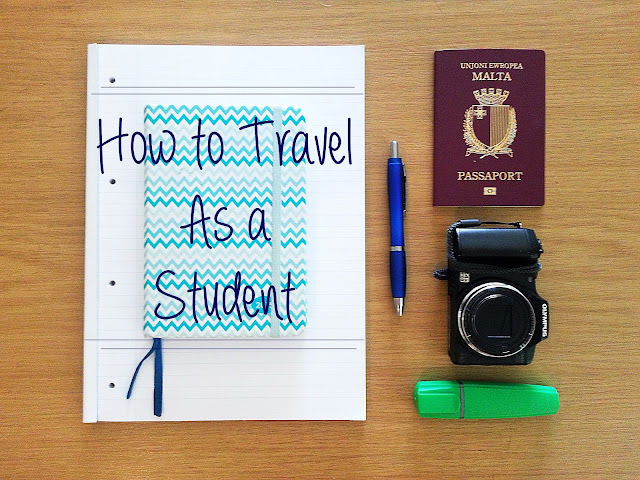 How do you manage to travel and still keep up with your studies? I'll be completely frank with you. The most important thing you must do is to prioritize travel. There will always be something that keeps you from travelling, be it work, family or studies, but if you really, really want to roam around the globe, you'll find a way, trust me! This is a no-brainer, but some people think I decide to jet off randomly in the middle of the semester without thinking things through. In reality, the first thing I do every September / October is I download my academic calendar and see where I can squeeze in a trip or two. In Malta, I'm lucky enough to get long Summer holidays, and decent Christmas and Easter ones. 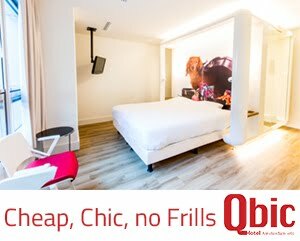 This is where I try to book most of my trips, and I sometimes like to add a short weekend breather if I see a public holiday on Mondays or Fridays - long weekends FTW! Besides allowing me to plan out my school year in trips, syncing with my academic calendar means I can also know in advance the periods where travel is a no-no. For example, I get exams in early February and all throughout June. This means that in late January and May there is no way I can be away from my desk and high piles of notes. Sad, but hey, there's always the rest of the year to look forward to! So you've managed to plan out your travels and not miss one lecture - but the fact remains that the time you're spending discovering wonderful new places has been removed from your study time. I'm a firm believer in travel as a great educator, but sadly, the life experiences you gain from your travels will not help you in the most pedantic, theoretical exam of the semester. This means you have to work twice as hard to catch up, and to make sure you understand the things you need to know thoroughly. I know that social media makes travel look incredibly glamorous, but "normal" travelers like you and I know that backstage, being able to travel means a lot of hard work and late nights. Travelling, studying, saving up to travel more - it's easy to get caught up in a hectic routine that makes you forget your friends. I've done this quite a few times, and let me tell you, being a flaky friend is not cool. Meet up, catch up with each other's lives, have fun; trust me, you don't want to miss out on your friends. Plus, when the going gets tough, they're the ones who can help you get back on your feet again! 4. Look out for Travel Programs! This one's by far the most fun one. The system itself encouraging you and helping you to travel? Score! Universities across Europe offer hundreds of schemes and programs for students to travel and learn! Ask your faculty about Erasmus, which offers University students the opportunity to study abroad for a whole semester, or take a look at Erasmus+, another EU funded program which offers young people thousands of opportunities to study, work or volunteer abroad. Since my course is very limited on Erasmus, this one's a favourite of mine, since it's usually on a shorter period and still allows you to meet amazing people and live great experiences. Did I also mention it's often ridiculously cheap to do? I wrote more about it here - check it out! I also know that there are many opportunities across the pond and in Asia - let me know about them in the comments section! Your twenties are an exciting decade, but they're what you make them. I choose to make them busy, fun and full of adventures, and working hard to make them so is well worth it! This is a short period where you have relatively little responsibilities and enough freedom to see the world - what are you waiting for? This fresher's week, make the coming year truly your own. See you on campus! Weekend Mission: Turning a house into a home! Malta Street Art Festival - the Warm Up!